The Old Port of Montreal - Longueuil Ferry operates seasonally on weekend and holidays from mid May through mid October transporting passengers across the Saint Lawrence River to Longueuil. Weekend sailings operate every hour from 9am through 10pm. In addition, weekday service is starting at 11am is available from late June until Labour Day. 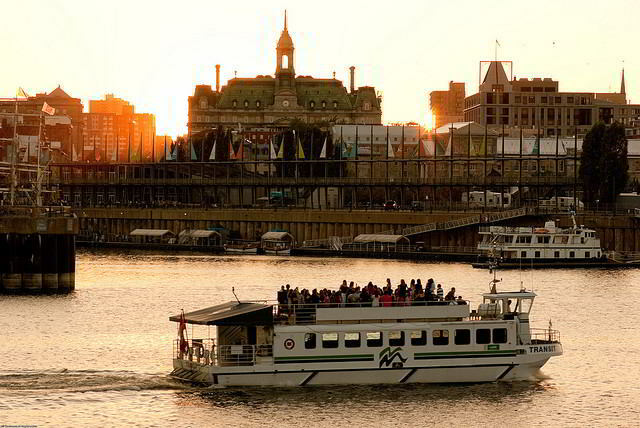 The ferries provide an ideal way to enjoy a sightseeing tour of Montreal from the water at a very affordable price. The ferries which can hold nearly 200 passengers depart every hour for the scenic 4.3 kilometer journey with a stop along the way at Parc Jean Drapeau before continuing around Ile St. Helene to the Longueuil Marina. The boats can also accommodate passengers with bikes. When you arrive at Longueuil you can enjoy exploring the walking paths that follow the river bank or meander through the parks on either side of the Marina before catching the return Ferry to Montreal or you can just return on the same Ferry that brought you. 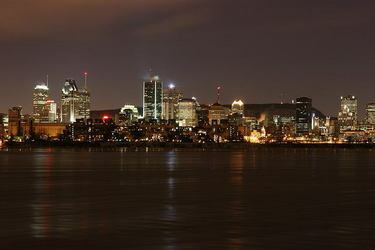 Nearby attractions: Place Jacques-Cartier, Chateau Ramezay Museum and Old Montreal. Fee: Yes. Children 5 and under are free. See the website below for current fares. Hours: During the operating season from mid May through Mid September the ferries depart on weekends and holidays from the Jacques-Cartier Pier in the Old Port of Montreal every hour starting at 9am. During the peak period from the last weekend in June through to Labour Day there weekday sailings starting from 11am. Schedules are sometimes adjusted during special events so it is a good idea to check with the official website linked below. By Metro: Take Metro Line 2 to Station Station Champ-de-Mars and take the South Exit (Sortie Saint-Antione Trottoir Sud). Walk southwest through the Champ-de-Mars (greenspace); go left (south east) through Victoria Square and Place Jacques Cartier; continue across the Old Port Promenade onto Jacques Cartier Pier.